Get off the couch and get moving with fun, boxing-based rhythmic exercises set to the instrumental beats of songs by popular artists, including Lady Gaga, Pitbull and Kesha. You can personalize your workouts by selecting from different fitness goals. Train your way, whether you're on your own, with a friend, at home, or on the go! Now you can work out anytime, anywhere on the Nintendo Switch system! 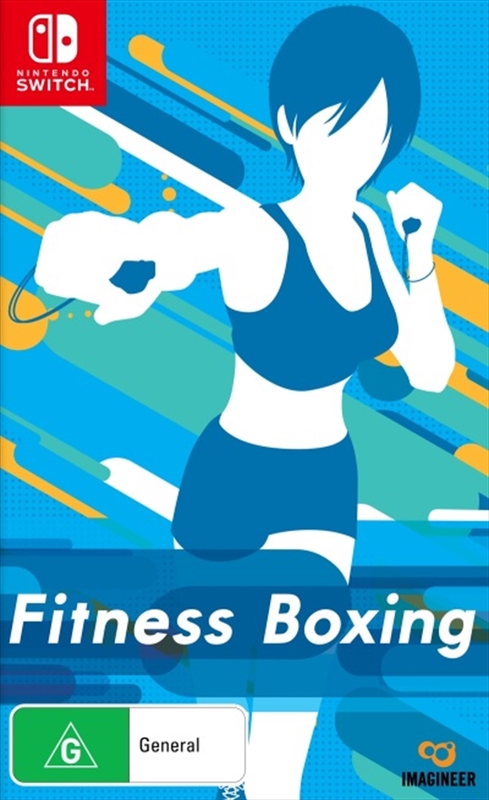 Get down your boxing basics while getting down to instrumental versions of 20 unlockable hit songs, including "Party Rock Anthem" by LMFAO, "Call Me Maybe" by Carly Rae Jepson, and "Sugar" by Maroon 5. Punch and squat while gripping the Joy-Con controllers to get your whole body moving-no additional gym equipment required! Work up a sweat with boxing-based motion-controlled moves set to rhythm-based workouts. Bop along to the instrumental versions of popular songs. Personalize workouts by selecting your fitness goals. Choose from short to long workouts to fit a variety of lifestyles. Play cooperatively with or competitively against friends and family in 2-player local play with two sets of Joy-Con controllers or by sharing a pair. Play at home on the TV or on-the-go in Tabletop mode. Tracks your progress by estimating BMI and calories burned to help encourage healthy habits.